As I prepare to track my spending in 2017, I have to decide which tool to use. In the olden days, there weren't many options. Lately, however, there's been a boom in personal-finance tools. Rather than try every available app, I elected to take a look at four that seemed like good fits for me: Quicken, You Need a Budget, Personal Capital, and Mint. Yesterday I reviewed my experience with You Need a Budget. Today I'm going to cover both Mint and Personal Capital. Tomorrow I'll talk about Quicken. I had planned to review Mint and Personal Capital in separate posts, but as I began to pull things together I realized it made more sense to cover them at the same time. I think people are likely to use one or the other but not both. Let's start with Mint. Mint has been around for a long time. I remember getting calls from the company back in the early days of Get Rich Slowly. They wanted me to write about their service. And over time, many GRS readers became devoted Mint users. I was never one of them because I preferred to track my transactions by hand. Nowadays Mint is owned by Intuit, the same company that owns Quicken. It's been a while since I evaluated the tool, so earlier this month I decided to give it another shakedown. I discovered there's plenty to like about Mint — but it's not really meant for me. To start, connecting with outside financial institutions is quick and easy. Of all the apps I've tried, Mint is quickest and most thorough about accessing my accounts. YNAB made me import accounts one at a time, for instance, and couldn't read the names I'd assigned accounts at various banks. Mint, on the other hand, pulled all of my accounts from each business at the same time and included my existing labels. And whereas Personal Capital won't connect with my credit union, Mint has no trouble. 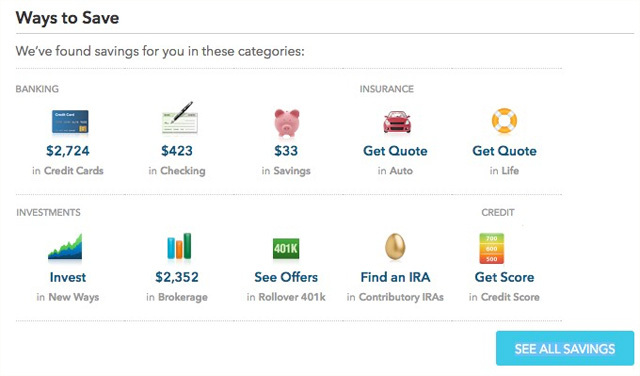 Plus, Mint offers a free credit score — something its competitors do not. So, Mint offers some handy features. But it's not all a bed of roses. 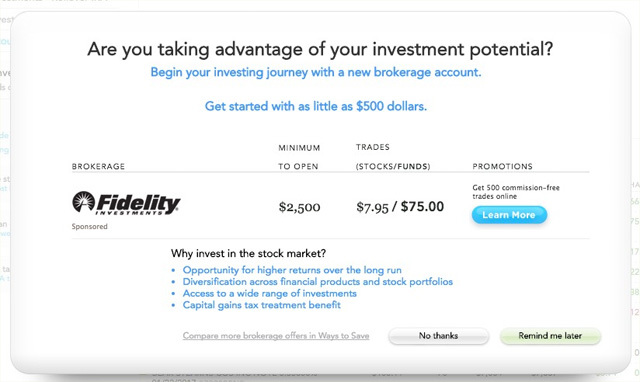 In that last screenshot, you can see Mint's major downfall: pervasive advertising. (“If you're low on credit card accounts, check out these credit card offers.”) It's everywhere, and has been since the company launched. In fact, that's why Mint is “free”. YNAB charges a flat $50/year fee. That's the company's revenue model. Mint makes its money by pitching bank accounts and credit cards and brokerage firms. And sometimes the ads are absolutely obnoxious. Really? Really? Why even offer these tools if they don't work? Mint offers a variety of reporting tools (which it calls “trends”, for some reason). You can break down your income and spending by category, by merchant, or over time. You can see how your debt and income are changing. And you can calculate your net worth. I like that you can zoom in to see the specific transactions that processed on any given day. But I'm a bit confused about how Mint categorizes some of the spending. See that big spike on January 3rd? That's because my credit card payment processed on that day. Mint counts that as an expense to “business services”. But that makes no sense to me because all of those credit card transactions have already been included as individual expenses for whatever they were. By counting the credit card payment as an expense, Mint is counting each transaction twice. WTF? The Mint mobile app is nearly useless to me. The interface is spare with minimal functionality. You can look at your spending habits, but that's about it. Everything else is clunky or unavailable. Except the ads. There are still ads in the mobile app. Next up, let's look at Personal Capital. I've been using Personal Capital casually for several years. (I think I installed it on my iPad in 2013.) When I say “casually”, I mean that I don't really do much active with the app. I used to track every penny I earned and spent with Quicken, but when I stopped keeping detailed records I installed Personal Capital so that I could keep an eye on my accounts all in one place. I check in from time to time to be sure everything looks okay, but otherwise the only tool I use often is the retirement calculator (which is excellent). For me, this is less annoying than Mint's ad-based model. However, you might hate it. Because I've been using the mobile version of Personal Capital for three or four years, I'm going to review the iOS app instead of the web app. From what I can tell, they have substantially similar features but they're organized differently. 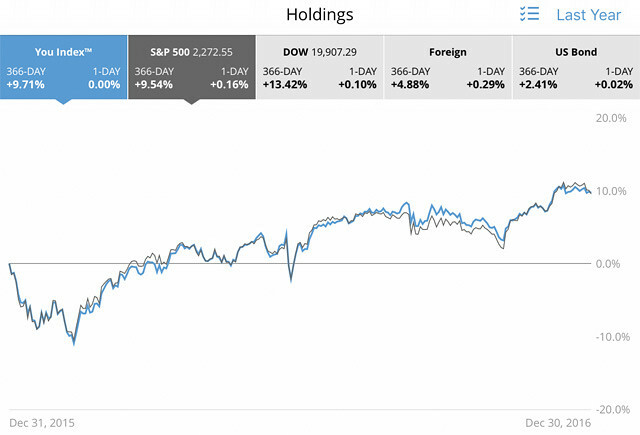 The web version of Personal Capital is a little clunky, but the mobile version is slick. Like Mint, Personal Capital automatically imports transactions and allows users to do some minor editing. You can't change the transaction date (which you can do in Mint), but you can change the description and the category. Plus you can classify whether a transaction is business-related, tax-related, or medical. One useful feature in the Personal Capital app is the cost analyzer. The software looks at your investment portfolio and alerts you if you're paying more than 0.30% in fees on any particular fund. Because fees are the second-largest barrier to good returns (behind investor behavior), this is useful information. Personal Capital's hope is that you'll pay them to help lower your fees, but you're free to move things around on your own too. The Best Retirement Calculator in the World? Personal Capital's best feature is its retirement calculator. I'm a huge fan. In some ways, it offers all of the strengths of my favorite online retirement calculators while allowing greater customization. Why do I like it so much? It bases your retirement needs on spending rather than income. As you're well aware, I hate hate hate calculators that use income to project retirement needs. (SO STUPID!) 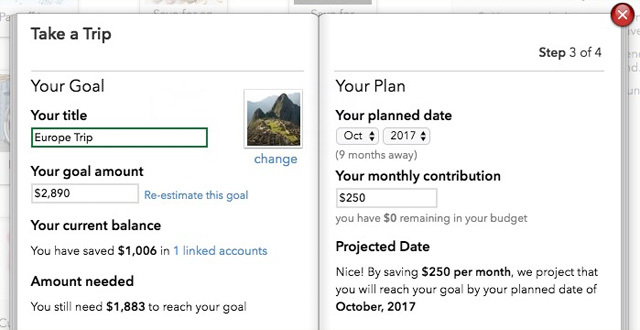 Personal Capital's planner automatically calculates your projected retirement spending (based on your recent spending patterns) but also allows you to make adjustments. Personal Capital also allows you to enter a variety of possible spending goals, such as vacations, weddings, education, and home purchases. It lets you do the same with income. The net result is a highly-customizable projection of your income and expenses on the road to retirement — and after. Instead of merely using a fixed calculation to determine the chances of retirement success, Personal Capital runs 5000 simulations and lets you know the odds of your plan allowing you to achieve your retirement goals. 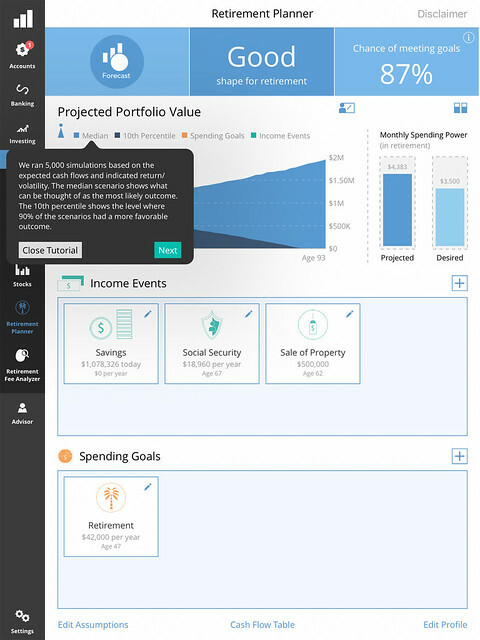 The Personal Capital retirement planner allows you to alter base assumptions, such as life expectancy and inflation rate. It also generates a cash flow table so that you can see exactly how much money you'll have when. I like Personal Capital but I don't love it. If you're focused on investing and retirement planning, Personal Capital is the clear choice. It's still a good option even if you're in earlier stages of money management, but it's less useful if you're not well along the path to financial freedom. Which should you choose, Mint or Personal Capital? I think it probably comes down to personal preference. 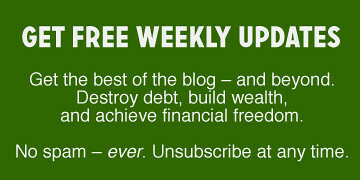 I'm not a fan of Mint's over-the-top advertising, so Personal Capital is a better option for me in that regard. Plus, I prefer the tools in Personal Capital to the tools in Mint. But I can see why others might prefer Mint. If you're looking for a money-tracking app, I think you should try both Mint and Personal Capital to see which is best for you. But for serious money management, neither is great. While Mint and Personal Capital are fine tools for monitoring your accounts, they're not actual money-management software. If as a money boss you've decided to track your spending, these are useful supplemental tools but they're not good choices for ongoing expense tracking and budgeting. For that kind of work, you need something like Quicken or You Need a Budget. What about you? What's your experience with Mint and/or Personal Capital? Do you prefer one ot the other? Why? And am I totally missing the boat by not opening my search to other apps? Which ones would you recommend? There are 15 reader responses to "Money App Showdown: Mint vs. Personal Capital". Nice write-up JD. For me, I’ve found the perfect combination to be Quicken plus Personal Capital. 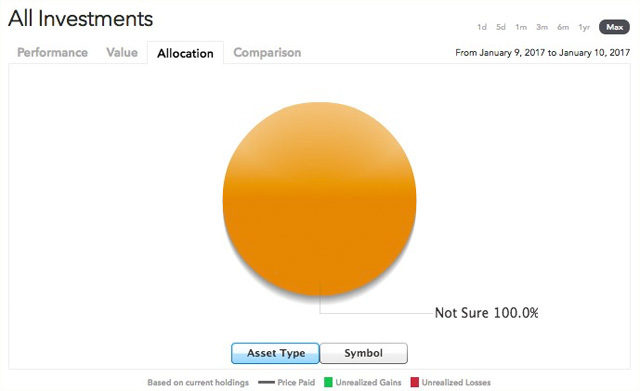 I really like using PC to check-in on my portfolio performance, allocations, and expense ratios. 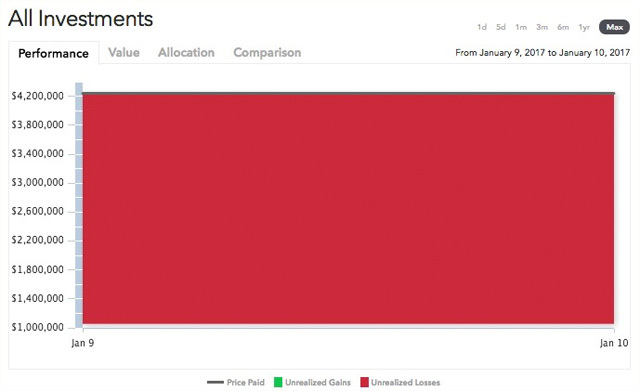 Quicken is great for the detailed money management and analysis that I do. I’ve never used Mint before, but based on your assessment, sounds like it would be too heavy on advertising for my taste anyway. I’ve been using Mint for years and don’t plan on switching since I’ve spent a lot of time setting things up, but it’s definitely got its problems. I paid off my student loans years ago and marked those accounts closed. At some point Navient turned off my account and it seems like now I’ll forever have a “Mint Connectivity Error” on my alerts since I don’t want to delete the transaction info in my history. I agree with you that the Investment section needs to be drastically fixed. For some reason, it shows that I’ve paid double what I paid for all of my investments in my Scotttrade account, so it’s always shown that I’ve lost money on my investments since the market value of my shares is based on what I’ve actually paid. It’s really confusing. To be fair, there’s probably a fix somewhere but the fact that I have to seek that out is the biggest negative for me. I don’t use it for tracking spending – but love it for investment tracking. Based on your review I think I will stick with it. 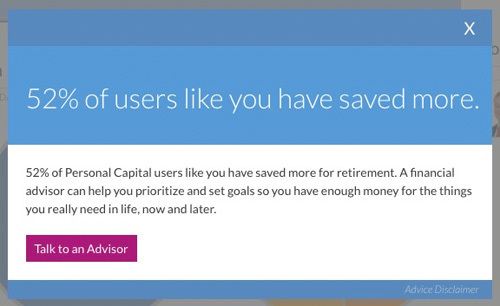 I’m looking forward to trying out Personal Capital. Tried Mint years ago but it always had issues with one of my banks (the security setup). It’ll be interesting to see if PC can deal w/ that. Right now we are using MoneyDance as wanted something akin to Quicken circa late 90’s but compatible with Mac and Linux as well. Is personal capital usable without connecting to your accounts? I’m looking for a more old school approach where I input things but perhaps a bit slicker then roll my own excel. JD, I use Mint. I don’t love it but, it works to get a quick overview of my monthly spending. I’m interested in your reviews because I have given thought to changing the tool I use to manage my monthly budget. Regarding the double counting on Mint you can go in and classify you credit card payment as a “Transfer” and Mint will recognize you are just transferring funds in between accounts. This works if you have a savings transfer in between accounts as well. Awesome. Thanks for that note about transfers, Michael. I use Mint, but not as much as I originally anticipated. I’ve been using Mint for about 4-5 years now. I really like the aggregation of transactions. Since I don’t have the time or inclination to track every transaction manually, even though I am a heavy heavy spreadsheet user… I use spreadsheets to calculate budgets and cash flows, and of course investments (which is where Mint has really failed me) and FIRE calcs. Again, what I really like is the aggregation of transactions across all of my (our) banking accounts and credit cards. Every month (or even every 3 months), I log into Mint and review the transactions, making corrections to the “categorizing” that Mint got wrong. It’s not too tedious, maybe ten minutes or so (including labeling checks as payment to the HVAC guy or our Nanny). What I really love, however, is that I can see my historic spending trends. How much did I spend on groceries last quarter? Last year? Two years ago? This helps me see the big picture and aids in my budgeting process, especially since my wife and I have 6 credit cards between the two of us. I use both Mint and PC. When it was just me, I used a spreadsheet for my day to day spending. After I got married, there was no way I was going to wrangle my husband into tracking everything, so Mint was the best solution to track our combined spending with less hassle. Mint is far from perfect, but overall, it’s worked well enough. 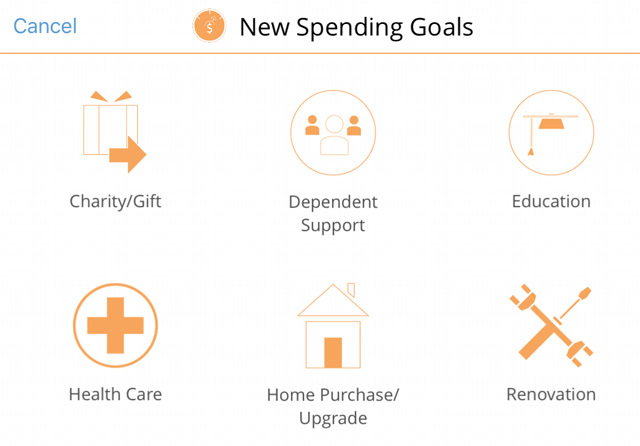 I use the budget feature, and all of our spending goes into 10-ish categories–many that I customized myself. It’s bug-y and sometimes if you want to change budget categories you do have to play around with it so it doesn’t double count, but I mainly use Mint to track how much we spend in each category and it does that fine. We use PC for investments. I don’t like their transaction features for day to day spending because it’s so hard to customize, but looking at individual transactions for investments has been a game changer to see exactly what’s going on in those accounts. You’ve inspired me to give their retirement calculator another look. PS – the Mint ads aren’t nearly as bad on the mobile app. Have you looked into CountAbout? After using Mint for years I’ve been looking for another option to track my spending. It’s not the ads that bothered me, but the fact that Mint won’t sync with the bank holding my new mortgage (HomeStreet Bank). Mint customer service is unable or unwilling to deal with the issue. Since my mortgage is a huge part of my monthly budget, I really need to have it connected. 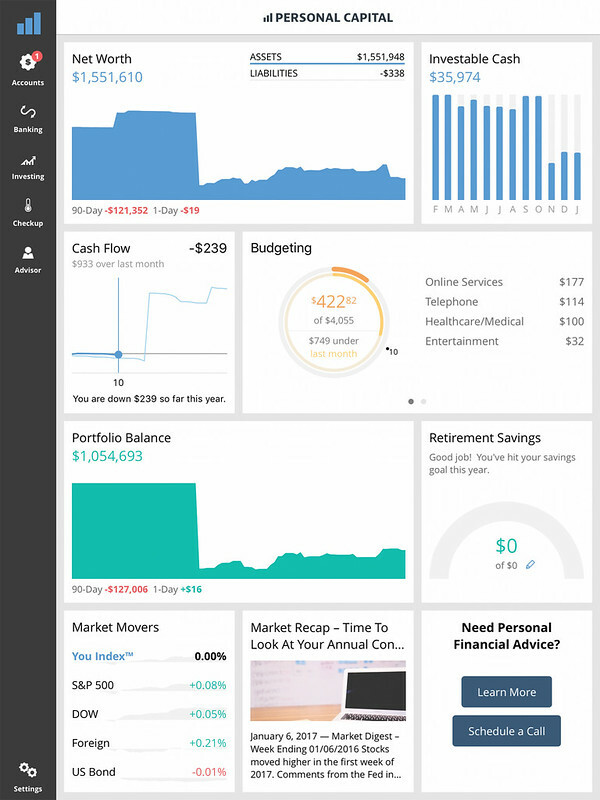 CountAbout seems like the best option for me since I mainly want to track spending, cash flow, and look for patterns. Their customer service has been amazing and I haven’t even signed up for the paid option yet. I’ve tried Personal Capital, and while it looks like a strong tool for tracking personal investments, for people like me who are mainly investing through retirement vehicles it seems the retirement planning portion is the most useful. I appreciate all the reviews, as I frequently waffle about using software to track my spending. Reading through them, though, I’m really happy with my “write it down in a spiral bound notebook” method. Each month I write a budget on one page. Then the next page I track expenses through the month, deducting from the total amount from the previous month’s paycheck. And on days when I pay off credit cards (twice a month to prevent getting dinged by short billing cycles) I add up what I’ve spent by category to check and see whether I’m going overboard anywhere. I started out using Mint – but once Personal Capital came out, I’ve stayed there. Personally, I’m much more interested at tracking investments than budgets, so it is definitely better for that. Still, it has limitations and I still haven’t found anything that can beat my trusty spreadsheet. Hey J.D., FYI, Intuit sold off Quicken to a private equity firm in March of 2016.